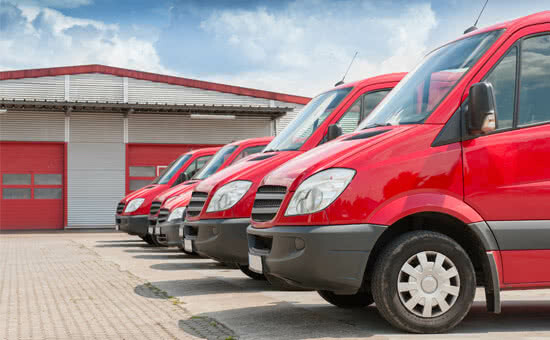 If you rely on one or more commercial vehicles to help you conduct business on a daily basis, you’ll want to make sure that your vehicles accommodate your company’s specific needs. This might mean upgrading your existing fleet of work trucks for your construction company, your delivery vans for your floral business, your semi-truck cabs for your commercial trucking company, your passenger cars for your taxi service, or your trailers for your landscaping business. Vehicles that are used in a commercial capacity often see much more severe use than those that are relegated to home use, meaning that these vehicles might need to be replaced more frequently. Also, as times change and consumer demands evolve, you may need to rethink your current stable of commercial vehicles to stay as relevant as possible. This all takes money, and small business owners know that, behind time, money is usually the next scarcest resource. If you are considering purchasing new or pre-owned vehicles for your commercial business, there are a few ways to do so. First, you can use available working capital to purchase needed vehicles outright. While this does eliminate adding more debt to the business, it also places the company in a position where capital resources are slim and cash flow may be affected. Many companies who operate on a cash-only basis often find themselves unable to take advantage of lucrative opportunities that arise – all because they lack the on-hand cash necessary to buy materials, hire contract employees, or simply manage the startup costs of a new project. Second, businesses can take out a loan and begin a commercial vehicle financing contract. By doing so, the business is actually purchasing the equipment and will have full ownership at the end of the loan term. But the monthly financing payments can be higher than other options. Third, you can acquire the equipment with a commercial lease. Leasing is a lower cost alternative providing more flexibility, and depending on the age and condition of the vehicle, a commercial vehicle leasing program may be the most sensible choice. Lease financing enables businesses to secure the cars, trucks, vans, or heavy equipment necessary to conduct business, without having to invest hard-earned cash reserves into equipment that tends to depreciate quickly. You don’t need to put any money down, you’ll get the latest in up-to-date technology, and you’ll generally benefit from significant tax savings through the Section 179 deduction. Applying takes only minutes, and our helpful loan specialists are here to assist you each step of the way. Apply today and take the first step toward securing the commercial vehicles that you need to improve your operational efficiency and bottom-line results.